After being away from the house for work day hours for two days this week because of my conference, I’ve really got to give a shout out to all the working (outside of the home) parents out there! I was home at 5:30 which gave me a scant hour and a half to get dinner ready, play with Tristan and get him ready for his 7:00 bedtime. Phew. Not an easy job. Tougher still for single parents (Luc was away…). I fed the munchkin frozen chicken fingers and french fries, and we definitely didn’t make the bedtime. Big news to announce today…. 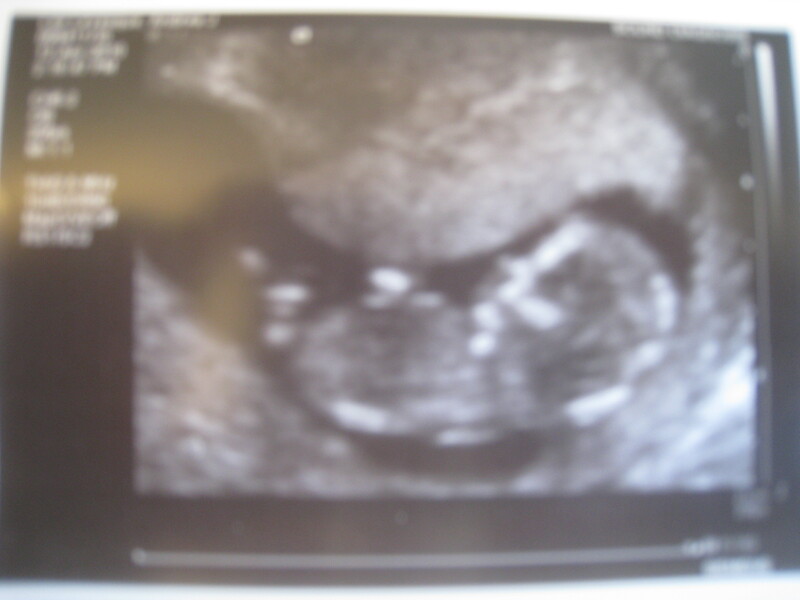 Tristan will be getting a little sibling, somewhere near the end of October! 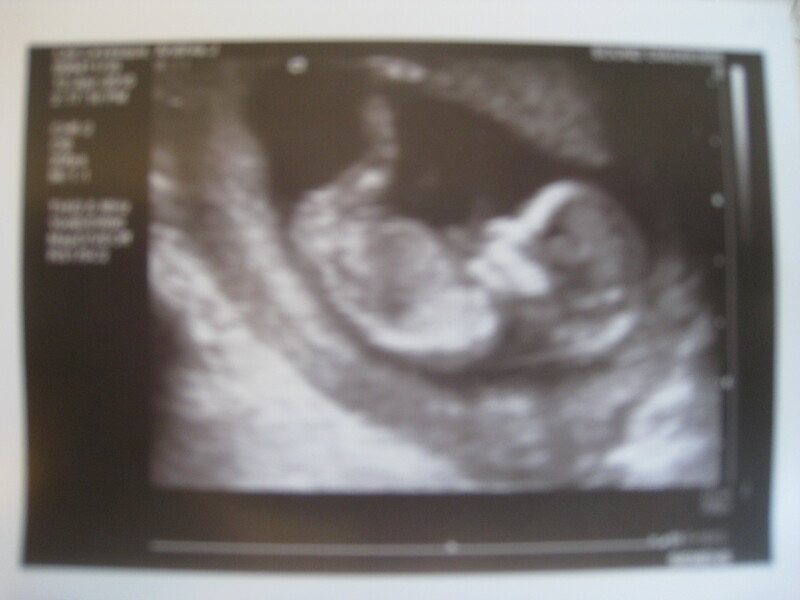 I had my first ultrasound today… we saw the tiny babe (6.1 cms long!) and saw the miniature heart fluttering from deep within my belly. What an active little munchkin s/he was, doing flips and turns, definitely giving the tech who was trying to take measurements a run for her money! The little hands were constantly up around the face, reminding me of Tristan, as this is exactly how he was born, with one arm draped across his forehead! It’s amazing how seeing those images on the screen have somehow made this so much more real. Five minutes of seeing my precious new little babe on a screen have made me fall in love… where yesterday I had no connection to this pregnancy at all. 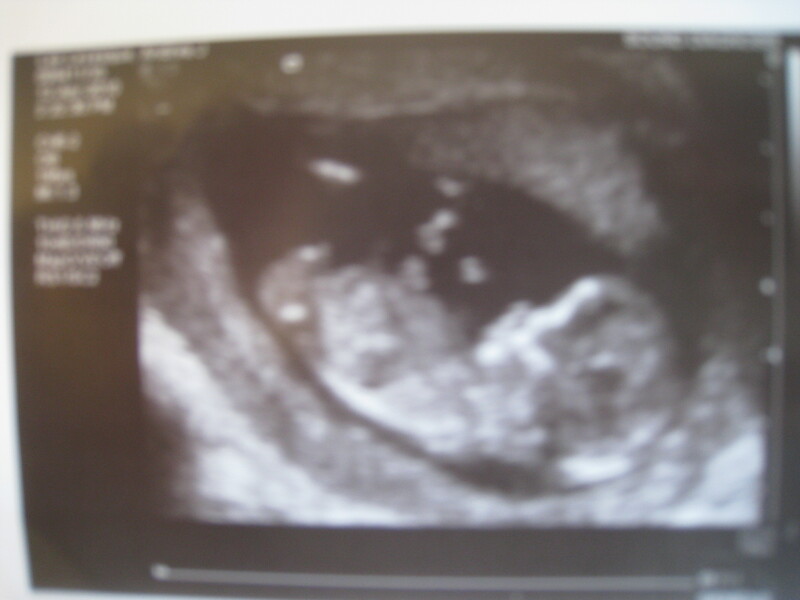 Somehow, seeing this active little peanut, growing exactly according to textbook timeline, four miniature limbs waving around, has given my heart permission. Permission to love the new life growing inside me. My new baby! 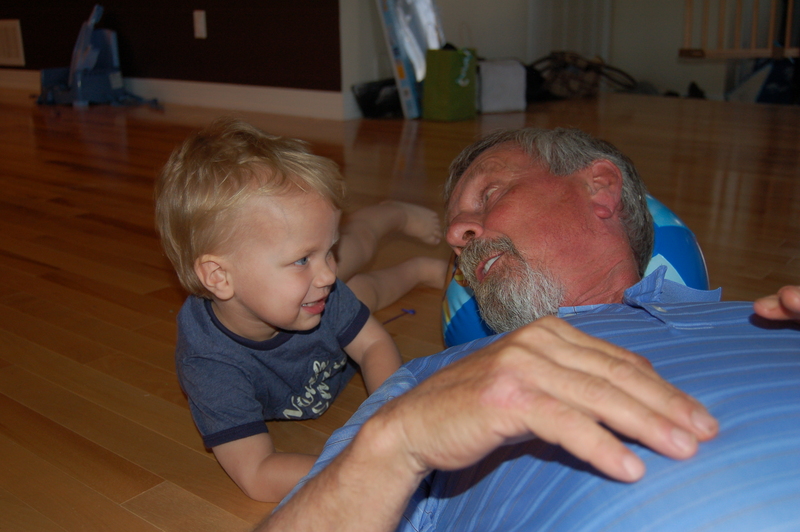 There is nothing so sacred as the bond between a grampa and his first-borne grandson. 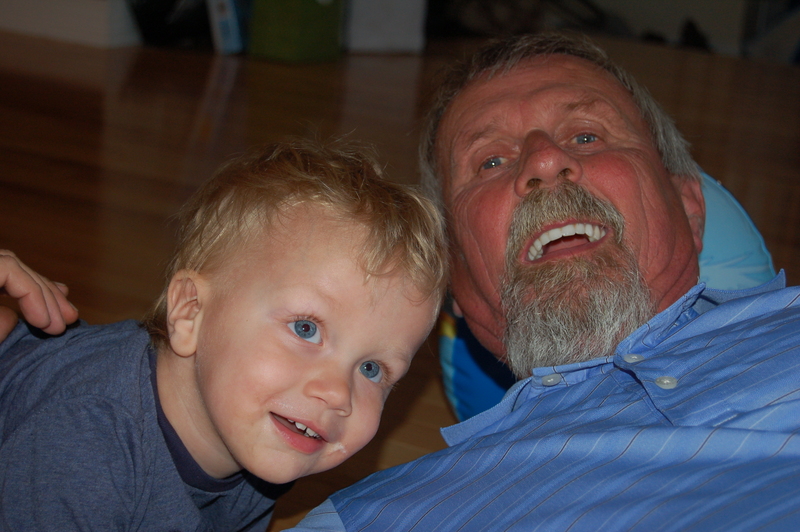 From the time when Tristan was a tiny, colicky baby, Tristan and grampa were two peas in a pod. They would go on endless strolls around the city so that both Tristan and I, so completely sleep deprived, could finally get some rest. 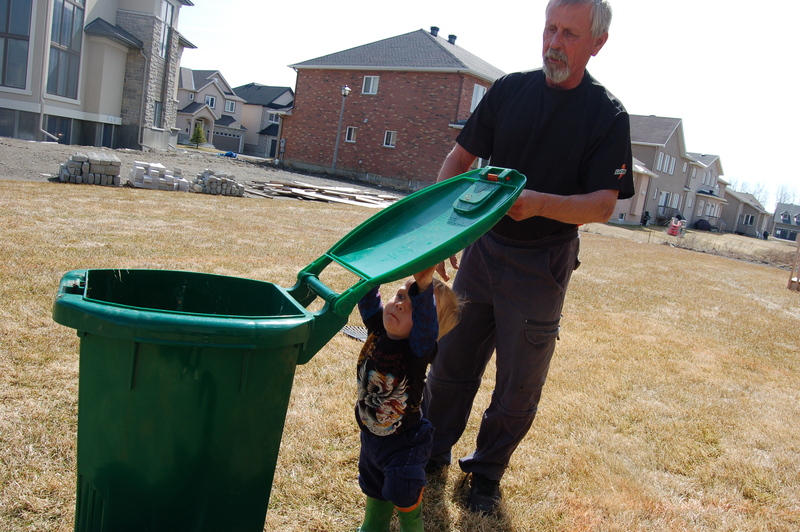 Now that Tristan is older (almost the ripe old age of two!) their bond continues to strengthen everyday. They call each other on the phone several times of day, and “papa” is often the first word out of Tristan’s mouth when he wakes up in the morning. 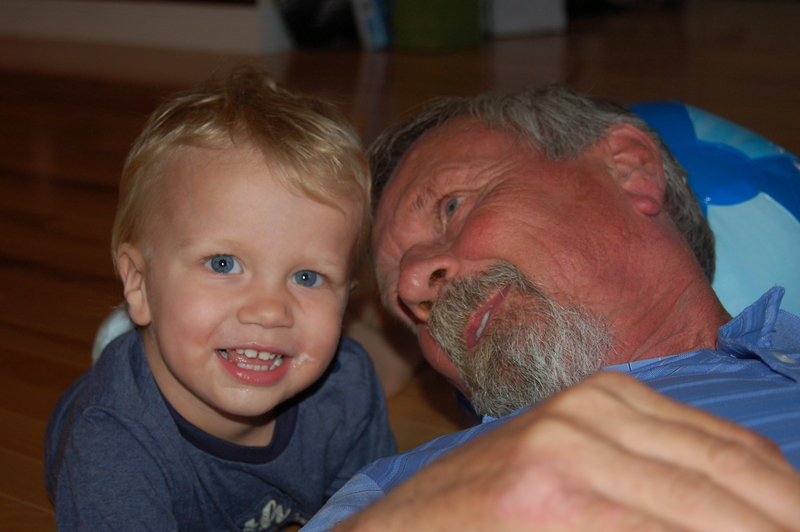 Oh, mommy and daddy are pretty special in this little guys life too, but grampa trumps us all. As an extremely attached mama, I am so blessed to have someone (no, many someones) in my son’s life who love him so much. But there is something special about grampa. There is no one Tristan would rather be with if mama and daddy are away, and no one we are more comfortable leaving him with. Sure, my kid will more than likely have the far-from-complete diet of popcorn, french fries, chicken fingers and ice cream while we are gone. But oh, he will be one happy boy. 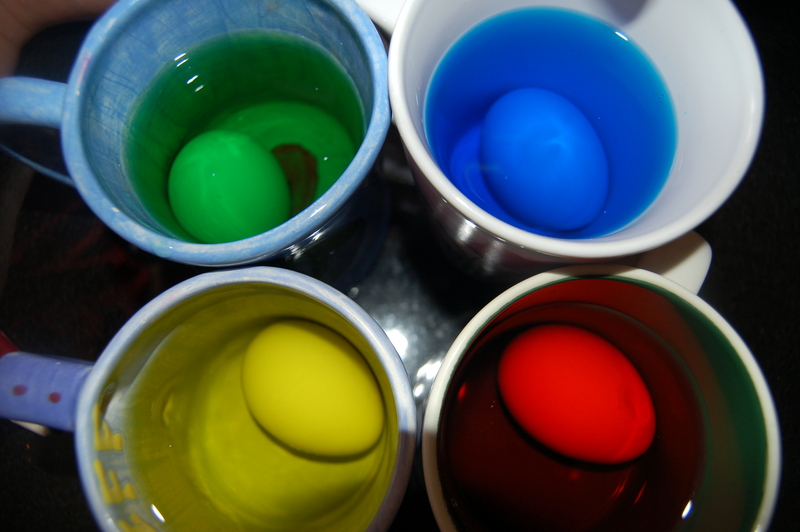 It is Easter weekend. The sun is shining and the thermometre is soaring well into the 20s. 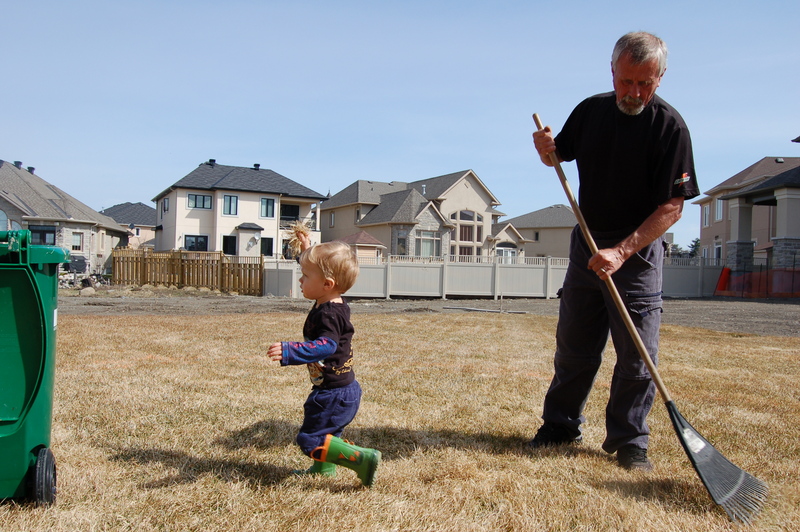 Luc had Good Friday off and we had big family plans of enjoying this incredible weather. I have a fever and every swallow I take feels like shards of glass. Yesterday morning, the most beautiful of all weekend, we had big plans to hit up the Experimental Farm with some friends. We were looking forward to enjoying the sunshine and “OOOoohhing” and “AAAAaahhhhing” over the cute newborn baby lambs. Luc and Tristan jumped into the car and headed off to the farm. I jumped in my own car and headed to a walk-in clinic. After getting a throat swab done, I had to head over to Loblaws to pick up groceries for the Easter Dinner I was to host the following night. It was the last thing in the world I wanted to do when I was feeling so horrible, but I had four people coming for dinner and I had to feed them something! I quickly made my way through the store, picking up only what I needed for dinner. When I turned the corner, I was kicked while I was down. Hard. I had NEVER seen line ups like this in my life. I chose the best looking line and skeptically counted each cart as I walked to the back of the line. Sixteen. There were 16 people in front of me who had to pass through the cash before I had a hope of getting out of this madness. So what did I do? The obvious. I called Luc and cried. Yup. I can admit it. I cried in Loblaws. I just felt so horribly and the thought of standing there in this atrocious line was almost too much to bear. But what choice did I have? The Easter Dinner was looming. That night, I sat all alone, eating a can of mushroom soup. Luc and Tristan had gone to a BBQ that I should have been at as well. But alas.. that pesky fever and sore throat kept me housebound. As I really started to feel sorry for myself, I was reminded of something I often see on my friend Katie’s facebook page. Often, her status report are simple lists – small reasons why she is thankful to be alive today. Small things that make this life so wonderful. So I’m not feeling the best I ever have in my life. I still have much to be thankful for. Two sets of parents who wanted to spend a holiday dinner with us. Our health. Besides this darn cold. 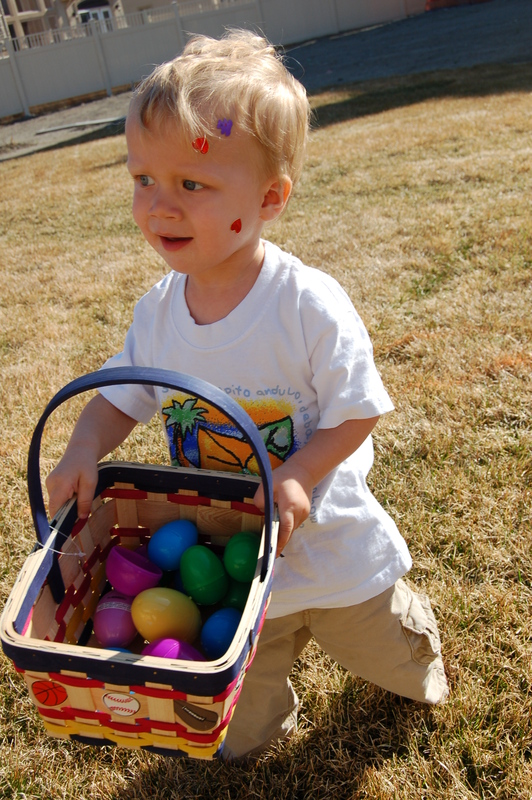 Sticky drool running drown my incredibly happy son’s face as he devours his chocolate eggs. 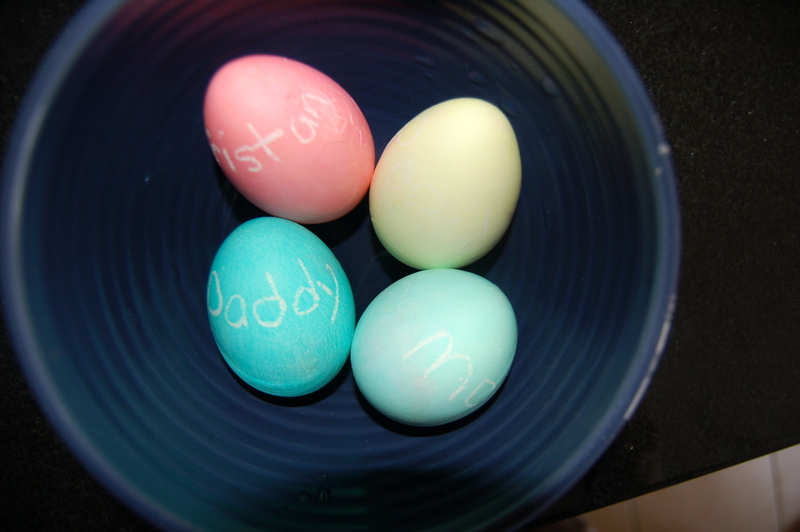 An Easter morning so warm that the Easter Bunny hid his eggs outside. 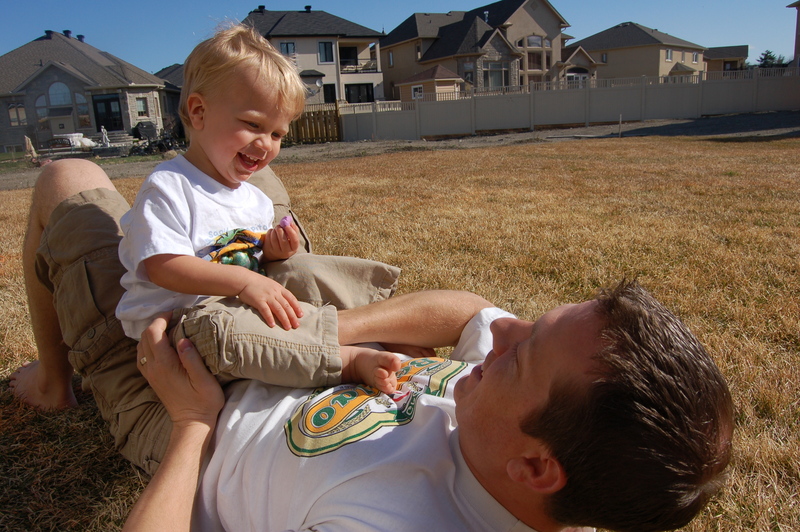 An awesome husband and the sweetest boy on the face of the earth. And thus was the end of my pity party! 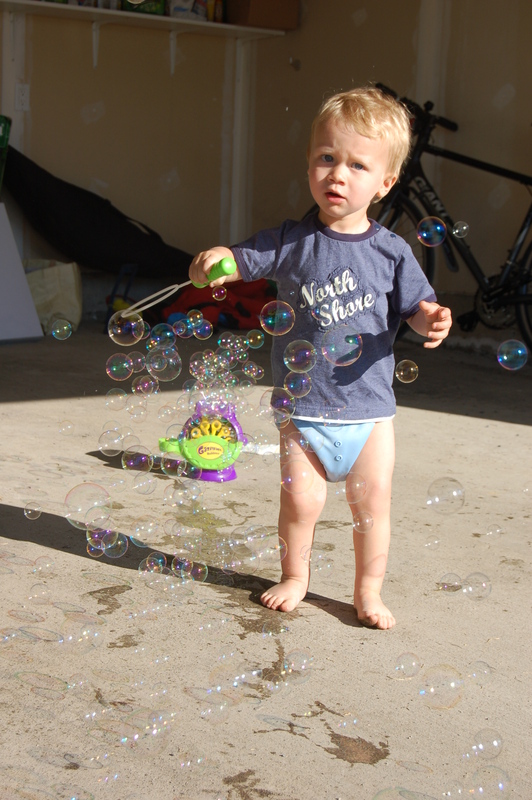 You are currently browsing the A Mom Like Me blog archives for April, 2010.